ood and energy security play havoc with environmental policies, economics and society. Too many countries, including the U.S., enact comprehensive anti-pollution policies and then exempt the worst polluters, including the oil companies, agriculture, biofuel producers and refiners. The reciprocal of our consumptive, environmentally and socially destructive fossil energy economy would be a sustainable, clean, carbon neutral energy system that cleans air and water. A sustainable and clean energy system should be reliable for at least seven generations and not pollute air, soil or water. Carbon neutral means the process adds no additional carbon to the atmosphere. Ecofriendly energy production would be ideal if it also cleaned air, water and other waste streams. The nanotechnology solution that can supply these benefits relies on the oldest, yet simplest energy system on Earth—photosynthetic algae. Renewable clean energy sources such as wind, waves, solar and geothermal will have a substantial impact on the energy grid and may eventually displace coal. However, these energy sources will not provide liquid transportation fuels which will be needed for decades to power legacy consumer vehicles as well as tractors, trucks, trains, ships and planes. Over 94% of our oil imports are liquid transportation fuels and, with the exception of electric vehicles, only biofuels offer an opportunity to displace oil imports. The DOE, EPA and USDA program that pushes corn ethanol makes sense to politicians because it provides farmers with much needed income. However, the science and unintended consequences of massive corn production for non-food purposes makes no sense. If government experts and politicians were looking for a sustainable and clean biofuel feedstock, they made the worst possible choice. Industrial agriculture, used to produce food and biofuels, consumes enormous amounts of fossil resources – fertile soils, freshwater, fuels, fertilizers and fossil agricultural chemicals. Modern agriculture is not sustainable because its foundation rests on massive consumption of 24 fossil natural resources, several of which are likely to run out in the next few decades. When the first of those natural resources on which modern agriculture depends becomes unavailable or unaffordable, our food and energy supplies will crash. Over 30% of the global fertile croplands have been abandoned in the last 30 years because they were decimated by erosion or worn out from overproduction. New cropland is extremely limited because all the best cropland has been farmed for decades. New cropland is less fertile, less flat and requires more natural resources per calorie of production. Agriculture in the U.S. uses 80% of the available freshwater and several major crop growing regions face impending water short­ages. Cities are buying the water rights to entire farming regions, which often create net zero crop production. Farmers locally and globally have difficulty paying for increasingly expensive fuels for cultivation, harvest and transportation. Fertilizers prices continue to escalate and now are 30 to 40% of the farm production costs. Agricultural chemical prices for herbicides, pesticides and fungicides continue to rise while they expand their pollution plume in the air, soils and waterways. Climate chaos will decimate harvest yields because field crops have been hybridized over 11,000 years to produce under stable climate conditions. Climate chaos imposes severe temperature spikes, more fierce storms fueled by warmer oceans, floods and extended droughts. Crops are sensitive to amplified heat from the higher morning lows and daily highs. 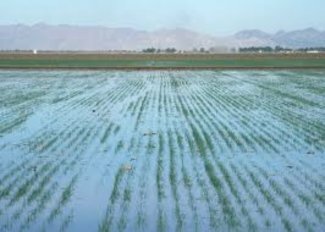 Rising oceans and salt invasion not only destroy millions of hectors of crops but often the non-replaceable cropland too. Warmer winters, later fall and earlier spring enable pests to survive over the winter. Pests begin their relentless attack on crops earlier in the plant life cycle when the plants are most vulnerable. Higher temperatures also diminish crop strength, sapping their defenses to pest and disease vectors. High winds twist crops so they are not harvestable, vaporize soil moisture and remove millions of tons of precious topsoil. Our society needs a new, supplementary method for crop production built on a sustainable foundation of plentiful resources that are surplus, cheap and will not run out. Food and biofuel production should consume minimal or no fossil resources and produce healthy food and high-energy biofuels without ecological pollution. The new crop production system should grow affordable food and energy consistently, independent of climate, weather, geography or politics and require minimal transportation energy and cost. Abundant agriculture—abundance—mimics nature as it leverages the robust characteristics of nature’s first, simplest, fastest growing and most resource efficient food production system—algae. Abundance benefits from photosynthesis, which captures and stores solar energy in energetic plant bonds in the most bountiful and beautiful plant on Earth. Abundant agriculture can produce sustainable, carbon-neutral food and energy using no or minimal natural resources needed by food crops. Algae can be grown on non-crop lands such as abandoned land, saline/coastal areas, arid and desert lands for which there are no competing demands. Algae consume minimal fresh water for growth and refining. Half the water stored in the earth’s crust, brine water, contains too much salt for land plants or human use but algae thrive in brine and even saltier ocean water. Substantial saline ground-water resources, roughly 15 billion acre-feet of brine water are contained within several huge aquifers in the U.S. Southwest. The arid climatic conditions coupled with plentiful desert land, sunlight and saline water in the region can support a diversified and strong algal biofuel industry. Abundance requires modest energy for algal cultivation, harvest and processing that can come from renewable sources including algal oil, solar, wind, waves or geothermal. Abundance farmers minimize the need for chemical fertilizers by recovering and reusing the energy and nutrients in the farm waste stream or industrial or municipal waste. Algae provide sustainable bioremediation of these wastes while producing clean water for economic and social benefits. 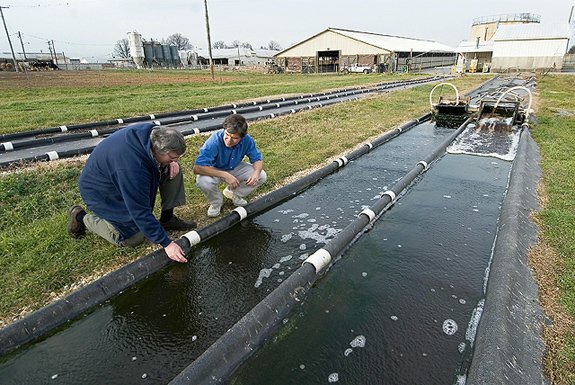 Algae serve as a remediation tool for wastewater and can remove N, P and K in livestock manure. 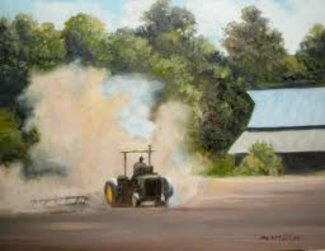 Walter Mulbry, an Agricultural Research Service scientist set up four algae turf scrubbers outside dairy barns. The shallow 100-foot raceways were covered with nylon netting that created a scaffold where the algae could grow. 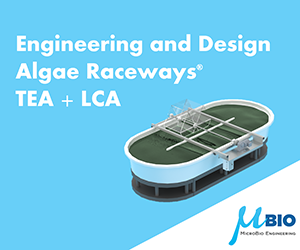 For the next three years, from April until December, a submerged water pump at one end of the raceways circulated a mix of fresh water and raw or anaerobically digested dairy manure effluent over the algae. The raceways supported thriving colonies of green filamentous algae. Each acre of raceway removed nutrients from 20 cows’ manure. The system recovered 60-90% of the N and 70-100% of the P from the manure effluents. Animal manure retains around 60% of the original energy in the plant and over 80% of the original nutrients. Abundance enables farmers to recover these resources and deliver them back to animals as feed or field crops as fertilizer. Abundance farmers can eliminate 80% of their use of agricultural chemicals and poisons and reduce ecological pollution by 90%. 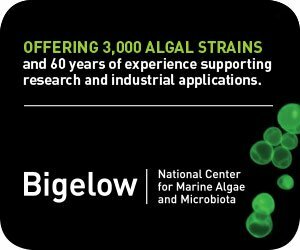 Algae can couple carbon–neutral food or biofuel production with CO2 sequestration from power and manufacturing industries, which can generate carbon credits. Arizona Public Service received a $70.6 million grant to feed algae CO2 from two sources: captured from a coal-fired smokestack and directly from the smoke by flueing the smokestack gas into an algae culture. Algae consume two tons of CO2 in each ton of algal biomass and release only one gas to the atmosphere—oxygen. A set of technology breakthroughs, defined in the DOE National Algal Biofuels Technology Roadmap, will be required for the optimum use of algal biomass for commercial production. The growing, harvesting and processing of any feedstock, including algal biomass, requires considerable energy. The use of fossil-based energy sources for these actions would reduce the net carbon gain in a life cycle assessment for this new fuel pathway. However, if algal energy production applies non-fossil, renewable energy sources such as wind and solar energy, food and biofuel production can be carbon neutral, adding no new carbon to the atmosphere. Of course, the CO2 is released when the algal biofuel burns but the process recycles carbon and displaces fossil energy. Year round algal biomass production represents an important challenge. In colder months, closed or semi-closed growing systems need modest heat to sustain high productivity. Greenhouses with solar panels to harvest solar energy or that operate with the heat from geothermal would substantially contribute to continuous production. Indoor production capability reduces water loss due to evaporation, enables continuous water and nutrient recycling while mitigating environmental pollution. America’s path forward for food and bioenergy needs a fast course correction because the current model is not sustainable in economic, environmental or social terms. 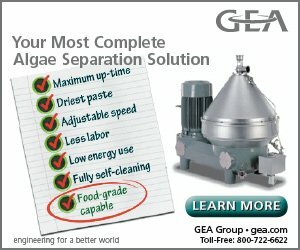 Algae offer a sustainable and affordable food and energy future that is clean and carbon-neutral. Algal biomass production reverses the pollutive path and cleans water and air pollution while providing coproducts such as food, food nutrients, feed, fertilizers and fine medicines that provide substantial benefits to human societies.